The Dark Net is real. An anonymous and often criminal arena that exists in the secret far reaches of the Web, some use it to manage Bitcoins, pirate movies and music, or traffic in drugs and stolen goods. And now, an ancient darkness is gathering there as well. 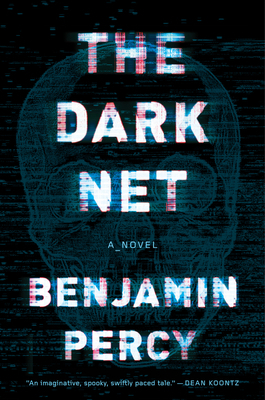 This force is threatening to spread virally into the real world unless it can be stopped by members of a ragtag crew, including a twelve-year-old who has been fitted with a high-tech visual prosthetic to combat her blindness; a technophobic journalist; a one-time child evangelist with an arsenal in his basement; and a hacker who believes himself a soldier of the Internet. BENJAMIN PERCY has won a Whiting Award, a Plimpton Prize, two Pushcart Prizes, and a grant from the National Endowment for the Arts. He is the author of the novels The Dead Lands, Red Moon, and The Wilding, two story collections, and an essay collection, Thrill Me. He also writes the Green Arrow and Teen Titans series for DC Comics. He lives in Minnesota with his family.